FIRST WE LISTEN. YOU LEAD. NEXT, WE FORM A PLAN. Your input is key to our success. 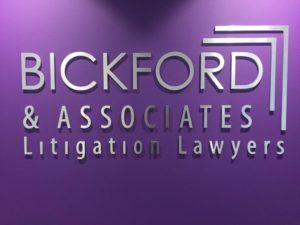 Bickford lawyers represent you and fight to get you the best result. But to do that, we need to get to know you. Obviously, no one knows your circumstances better than you. That’s why we say you take the lead. Our lawyers assess, investigate, ask questions and consider. Then with your go-ahead, we act.